Danielle has worked within the Technology space for over 20 years managing all aspects of Marketing. This covers marketing communications, trade shows, website and digital content development and all aspects of channel marketing. Danielle has been instrumental in crafting, managing and developing multiple partner programs. These programs providing useable customizable tools and programs designed to drive reseller business. This is a focus at her current role as Marketing Director for Axiom. 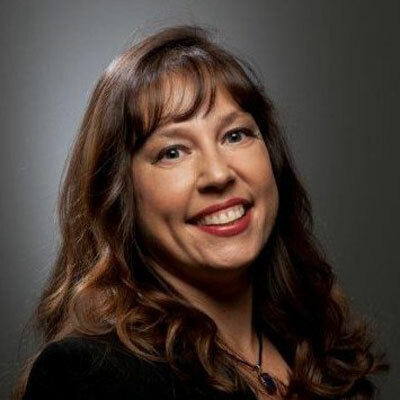 Danielle is also focused on providing training and product solutions that will allow small, medium and large business's the ability to stretch their IT dollar while still using the latest and fastest technology. When Danielle is not wearing her Marketing hat, she is busy with her family. Her husband and two daughters, Lilly and Robin love to travel abroad and spend time with extended family and friends as well as visiting interesting places of historical interest. Born and raised in England I have always admired Queen Elizabeth II. She is now the longest reigning Monarch of over 60 years. Queen Elizabeth is a remarkable lady because she has preserved the image of the crown throughout a period of great change. She has always carried out her duties with dignity and grace. I would advise that listening first before speaking and taking time to assess a situation before diving in with a solution usually produces better results. I would like to be able to learn HTML coding. There are so many times when there are changes or updates that need to be made on our website and I would love to be able to go in and make some of those changes myself. I really found the book Democracy, by Condoleezza Rice very interesting. Ms. Rice gives a first-hand outlook on democracy in the U.S. and in other countries. Having grown up in Alabama at the height of the civil rights movement and then later visiting so many different countries as the secretary of state, seems to give her a unique insight into democracy in the U.S. and around the world.